Give your breasts a discreet buzz and look great while you're doing it with the incredible Fetish Fantasy Series Vibrating Heart Pasties. Made from super-soft and stretchy Elite Silicone, these pretty pasties feature a pair of tiny micro-motors that tickle, tease, and please your most sensitive areas! 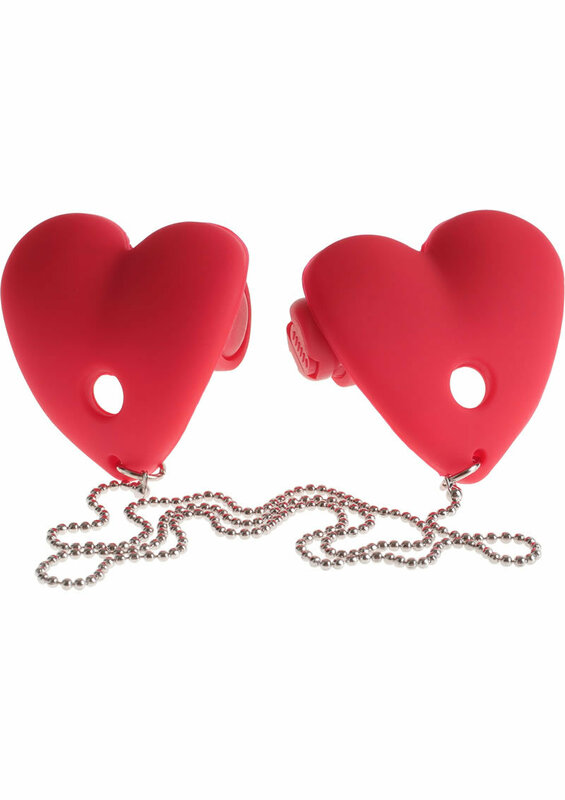 Hidden on the backside of each heart-shaped pasty is a powerful mini-bullet that delivers whisper-quiet vibrations that will whisk you away. You won't just look good wearing them, you'll feel great too, especially knowing that the discreet buzz is only your little secret.